A few updates from Jessica & Naya on the the show’s first season, interviews underway and plans for the next few months. Jessica: And this is the first time that we are connecting to you unscripted, this is just us sitting here chatting right now because we had some updates we wanted to share with everyone and thought this might be the best way to do that. So yeah, we’re excited! We have four episodes that are up right now, and by the time you hear this today, we’ll have two more posted (this one included). Show stat wise, Naya, where are we at right now with the show? Naya: I mean, we’re at over 2,000 downloads currently for the first four episodes. Our last episode, episode four on the refugee crisis, Invisible Wounds, is actually our most downloaded one with over 600 downloads, so that’s pretty wild. The even wilder part is that we’re in over 48 countries. Jessica: Which we still need to map, soon. Jessica: So we’ll share that stuff soon. So we originally thought we were going to do these once a month. How is that going so far? Jessica: Right, so we’ve had a few interviews recently. We talked with Kelley and Michelle with the Diaper Bank of North Carolina, that one is such a great, really compelling and inspiring story that will be coming out soon. Naya: And then we got to interview Aaron Williams that is the former director of Peace Corps who is now at RTI International, and that for me personally was an amazing experience as I am a former Peace Corps volunteer, Returned Peace Corps Volunteer (RPCV) as we like to call ourselves. So that will be coming out as an episode around service and we’ll also be interviewing students who have done Peace Corps and AmeriCorps as well. Jessica: Which will be really neat to hear, I didn’t get a chance to do that, but service is such an important part to what we do here at the School, and I think a lot of what people who are generally interested in helping improve health are interested in, so I think that will be a fun topic to come together on. We also happened into a topic on sleep. By happenstance, one of our colleagues at the School, Julea Steiner, she works in the Public Health Leadership Program coordinating service and engagement opportunities. She is on a board with Dr. Michael Twery, who is Director of the National Center on Sleep Disorders Research at NIH, so they are doing really cool stuff on this. So that will be really neat to see how that topic evolves, so stay tuned for more on why sleep is a public health issue. There have also been these other topics, too, like what happened in Flint and what we do with that. Naya: And also Zika. Zika has been a hot topic around the School. So in that sense we will be doing an episode or two on Zika, but in terms of Flint, we really couldn’t fit it into our already very busy schedules. So what we decided to do was actually create a Facebook page to let our listeners know that we’re aware of all these things that are going on, so we can post stories and other podcasts that tell that story that we don’t have the time necessarily to tell. Jessica: Yet. We’re really excited! We’re planning on wrapping up this season in May, following an academic calendar, with graduation with a “what’s next?”episode. I think our plan was to talk to students about what’s next in their career trajectory, and then also what’s next for the show? So hopefully we’ll be able to use Facebook and the website to engage with you all to hear what we should do, whether that’s doing different topics, doing things differently … I’d love to involve more students in the work to cover what they’re doing and to add a little bit more capacity. I think there is so much fun stuff coming up. 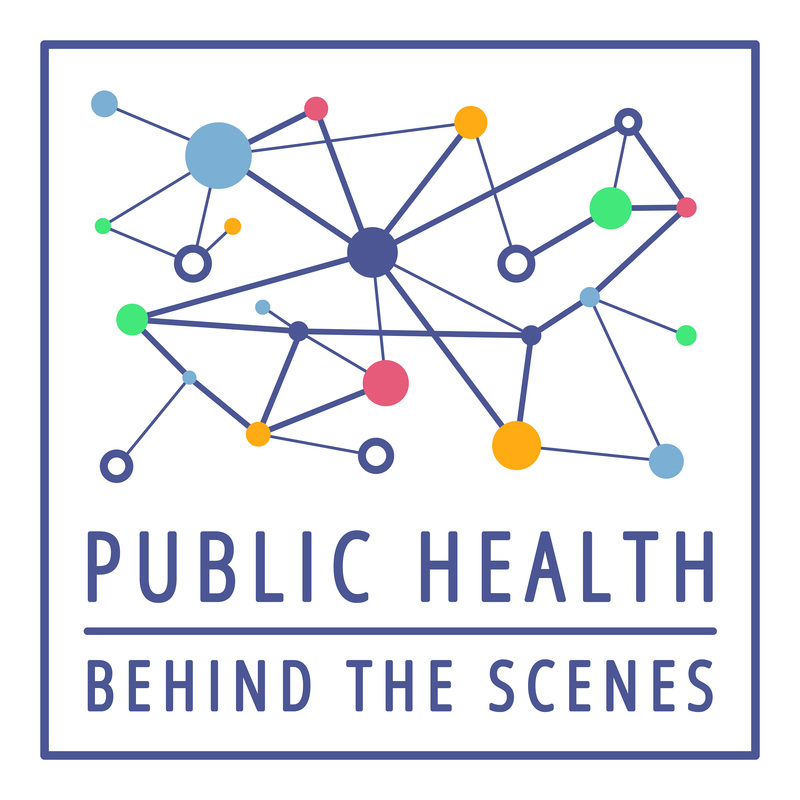 We also have National Public Health Week coming up April 4 – 8, so you’ll hear from us on some of the speakers that we have that week coming in. And our hope this year is to focus on service and how folks can engage in the community and helping to mission match students, faculty and staff to our community partners, so stay tuned for more on that. What else? Jessica: It is a lot! Naya: In a short amount of time! Jessica: So yeah, we have some exciting stuff coming up! We’re going to go a little bit out of order, after this one you’ll see a special feature episode on Zika, so listen to that, I think it’s really cool. Naya also did some great interviews on Zika from the public health perspective here at UNC, so those will be coming. And you’ll also see very soon, the third episode that we have on the refugee crisis which gives actual concrete ways that folks can help. Jessica: Right, building on efforts … this is so fun! Naya: Yeah! This has been great, and this has been completely unscripted, too! Naya: Download us, tell your friends, share us. I mean, 2,000 is great, let’s continue. Jessica: It would be fun to see that grow. Thanks so much for listening everyone.